Facebook COO Sheryl Sandberg accompanied by Twitter CEO Jack Dorsey, right, before the Senate Intelligence Committee hearing on ‘Foreign Influence Operations and Their Use of Social Media Platforms’ on Capitol Hill, Wednesday, Sept. 5, 2018, in Washington. 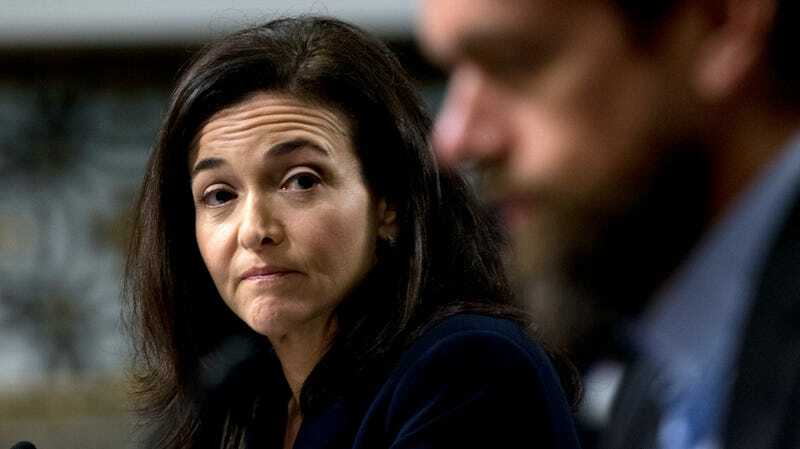 Last year was not great for Facebook’s embattled chief operating officer Sheryl Sandberg—particularly after it was revealed that she personally requested information on vocal Facebook critic George Soros after he publicly deemed the company a “menace.” But Soros conspiracy ordeal notwithstanding, the company she’s partly responsible for running experienced the most disastrous year in its history. This is evidently not lost on Sandberg, who while speaking at the DLD conference in Germany this weekend said that Facebook has “a lot of hard work” ahead of it and was “far from done” fixing the myriad problems that arise almost exclusively because the platform exists. Sandberg announced five key goals of the company moving forward, which per CNBC included increased transparency; reinstating user trust in the company to protect their data; investing in safety and security; safeguarding against election meddling; and stopping the spread of disinformation.